You can make big profits investing in Georgia tax defaulted property auctions, but you first have to know the rules. Georgia law does set some basic guidelines, but every property tax collecting agency in the state has its own rules. Georgia is a “redeemable tax deed” state. This is also referred to as a hybrid tax certificate. 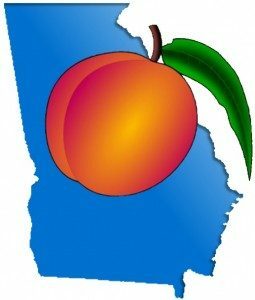 In the Peach State, you attend the auction and bid on properties. The winner has 12 months from the date of the auction to collect the past due taxes and fees plus 20 percent penalty, before the winning bidder can take possession of the property. If the owner pays this, that is called redeeming the property. Under Georgia state law, this tax deed with a right of redemption does not give you rights to the property. You only get the right to try to collect the past due taxes. If the owner does not pay, you can own the property. State law allows you to file for foreclosure to get possession of the property after 12 months. The Fulton County Tax office explains the process briefly. If you do need to foreclose on the property you bought in a tax defaulted property auction in Georgia, I suggest you consult a real estate attorney. State law requires you to run a foreclosure notice in the local newspaper at least four times. Hiring an attorney to help is a minor expense. The attorney will make sure it is done right. More than 95 percent of property sold in tax defaulted property auctions are redeemed. For instance, the 2016 City of Ashburn tax defaulted property auction saw property owners redeeming their homes the same day the auction was held. That is earning 20 percent on your money in just a few hours. Some homeowners waited and few property owners will never redeem their real estate. The tax collecting departments in each county hold tax defaulted property auctions. In Georgia, property taxes are collected by the county government, cities within that county and school districts. This is important because each one of these agencies may have its own tax defaulted property auction process. You must do your homework and know the local rules. This makes it appear that the County Tax Commissioner bills and collects for the county, the board of education and the three cities. It does not. The Tax Commissioner collects property taxes for county commission and, by special agreement, the board of education. Each city levies and collects its own property taxes. The rules are different in each county. That’s why you have to do your homework. What this means to you is, a tax defaulted property auction held by the City of Ashburn covers only property taxes for the city. It does not cover the county’s taxes. At the same time, a county tax defaulted property auction only covers taxes owed the county. If you invest in an Ashburn auction, then you must check with the Turner County tax commissioner to find out about past-due county property taxes. If the property has past-due county taxes, you must pay those as well. Turner County has three cities, Ashburn, Sycamore and Rebecca. Each has its own rules for tax defaulted property auctions. If you invest in a Turner County tax defaulted property auction and the house is in one of the three cities, you have to check with that city hall to see about city taxes. If the property has past-due city taxes, you have to pay those off. This protects your investment. Fortunately for you, these other taxes can be added to what the owner has to pay you. You can also collect the 20 percent interest on those taxes. It is likely the most current property taxes are past due as well. You are not obligated to pay these taxes. However, paying those taxes is a good idea because it will protect your investment. You can’t charge interest on those taxes, but you can be reimbursed. State law says the auction has to be on the first Tuesday of the month. Auctions can be held any month; each tax collecting office decides when to have the auction. The auction will be at the courthouse for the county and city hall for the cities. My website, members.TedThomas.com, has an auction calendar. You can find the next auction on the county’s website, by contacting the county tax office or by reading the legal notices in local papers, which I explain in the next paragraph. The Department of Revenue can help you find the tax office in each county. When an auction is announced, Georgia law requires tax defaulted property auctions to be advertised in the local newspaper for four weeks. You can read the sale notices at the newspaper’s website or at Georgia Public Notice, which publishes all the legal and tax defaulted property notices for every newspaper in the state. The United States Supreme Court has repeatedly ruled such auctions are legal. The most recent decision is Jones v. Flowers. “ Granting respondents summary judgment, the trial court concluded that Arkansas’ tax sale statute, which sets out the notice procedure used here, complied with due process,” the court ruled. The public auction is also the fairest way to sell the tax defaulted property. Anyone can participate if they follow the rules. Ted Thomas is a Florida-based author and publisher who specializes in distressed properties. Visitors to his website www.tedthomas.com will find 4 must see FREE instructional videos. No credit card required. The video lessons will give you everything you ever wanted to learn about government tax defaulted real estate which is sold at public auctions for starting bid, back taxes for 10 cents to 20 cents on the dollar. You’ll also learn the secrets of tax lien certificates which pay guaranteed returns of 16%, 18%, up to 36%. Go to www.tedthomas.com for more information. All reasonable efforts have been made to ensure the accuracy of the information presented in this article. Laws and regulations may change and you must be knowledgeable in the current laws and regulations at any tax defaulted property auction. Website links may also have changed since this article was written.